"I am delighted with the freedom of expression that I find in three-dimensional design, exploring new techniques and working with my hands. Texture, color, contrast and patterns, particularly those found in ancient symbolism, all fascinate me. In my work, the image of the spiral has been a continual design element. To me, the spiral symbolizes the vibrant energy behind our creative life force and is one of the most primitive patterns found in nature and in design throughout the world. Based on this, the intent behind my work is to create a unique and eclectic blend of styles that symbolically connects all living creatures to each other and with the oneness of our creative life force. The style of my work is simple yet bold, often whimsical, and each piece is well constructed. 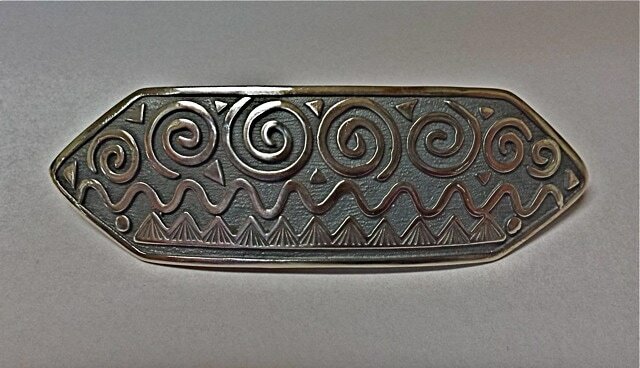 I primarily work in sterling silver with techniques of overlay and appliqué – where the top raised surface of pattern is either sawed from silver sheet or cut and formed from silver pieces. 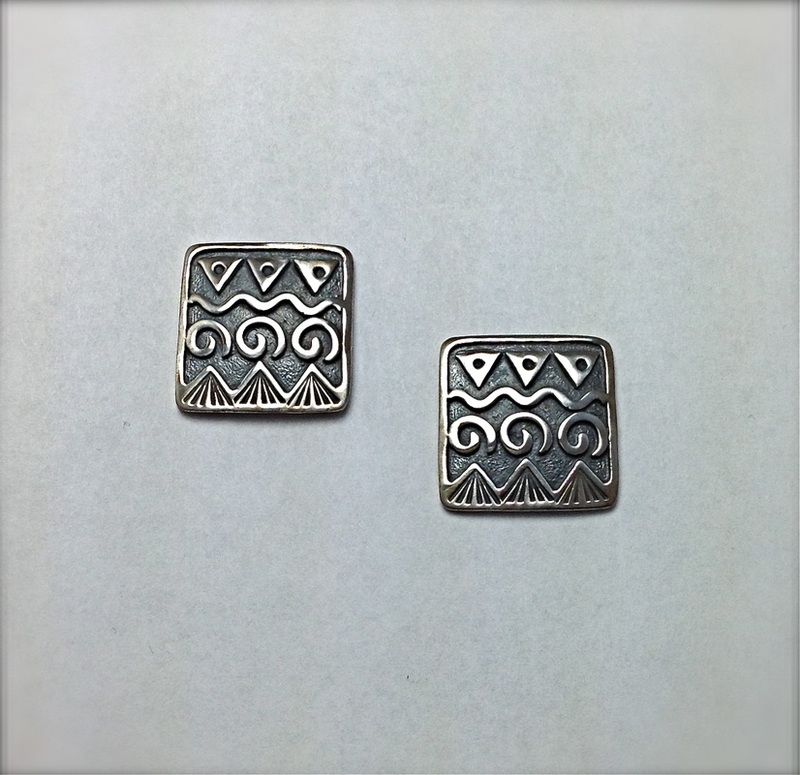 This surface pattern is then laid onto a bottom sheet of silver, soldered down, ground and polished. 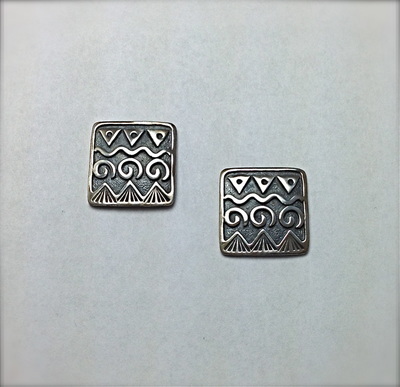 From there, many of the pieces will be cast, then ground, soldered with findings, oxidized and finally polished. An occasional use of a polishing cloth is all that is needed to maintain the silver. From the first inspiration of a design through to development, the creative process for me comes full circle when a piece goes into the hands of a customer. In creating beautiful pieces of adornment I receive great joy, and the realization that my jewelry can touch a person’s life in even a small way is a great feeling. Following a desire to grow as an artist and gain a greater sense of community amidst beautiful surroundings, Anne left her home town of San Rafael, California to move to Santa Fe, New Mexico in 1985. Anne acquired her BFA in Interior Architectural Design at the California College of the Arts in Oakland, California. In Santa Fe, with her background in art, graphic and theater design, Anne found her creative niche in jewelry. Since then, her work has been sold through numerous galleries throughout the country, in juried arts and crafts shows and museum shops. Her work has also appeared in Robert Redford’s Sundance Catalog."